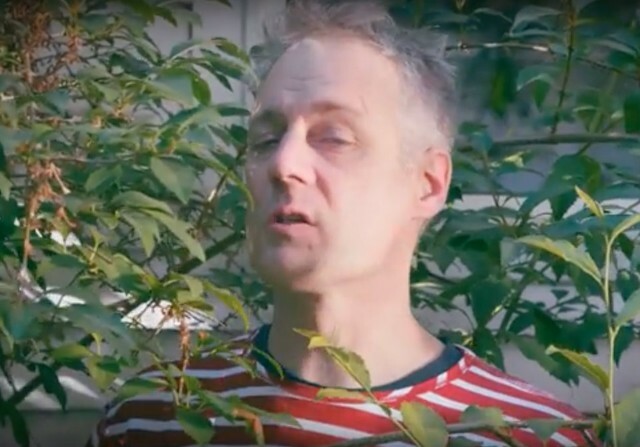 Calvin Johnson breaks out some of his old Beat Happening dance moves while hidden within some shrubbery in the video for “Like You Do.” This is the second song Johnson has released from his forthcoming full-length album A Wonderful Beast, which was produced by Patrick Carney. Carney also cowrote the songs with Johnson. The video, which was directed by Red Williamson, features Johnson vamping and generally goofing off with some kaleidoscopic effects distorting the K Records founder’s garden romp every now and again. The song features Johnson’s return to his rock roots after exploring funk and dance music with his Selector Dub Narcotic project’s 2016 album This Party Is Just Getting Started. In July, Johnson released “Kiss Me Sweetly,” the record’s bluesy first single featuring backing vocals by Michelle Branch. A Wonderful Beast drops on Friday, October 12.